The Sequoia is our spacious 3 bedroom with a half bathroom in the master bedroom for optimum convenience. The spacious enclosed kitchen is a must see as well as the enclosed living space giving everyone in the household plenty of quiet space. 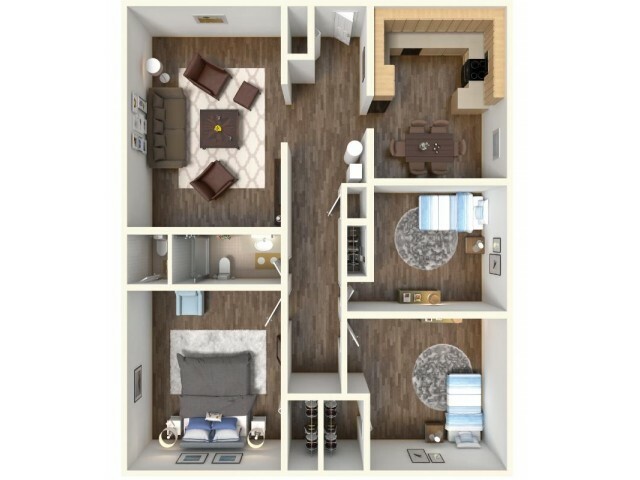 All floorplans have a private entry and laundry facility in the same building.